A federal magistrate judge in Pennsylvania issued a ruling permitting two lawyers to serve as expert witnesses, but limited the permissible content of their testimony in an effort to avoid improper influence on the jury. Judge Martin C. Carlson followed guidance from a previous case and allowed two legal experts to speak during trial provided they limit their testimony to background information and did not offer opinions on how the law should apply. 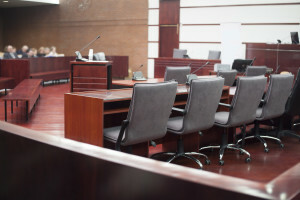 The dispute in question is a corporate shareholder dispute pitting family members who own competing consultant and expert witness services against each other. The plaintiffs, Atlantic Pacific Resource Group owned by Lewis Grill, filed a lawsuit against Sage Corp. and its majority shareholder, Gregg Aversa, Grill’s brother-in-law, alleging Sage employed discriminatory practices in dealing with Mr. Grill. Mr. Aversa countersued alleging that Grill had improperly interfered with Sage’s consultant business, and during the pre-trial process Mr. Grill submitted two legal experts, one a lawyer and one a law professor, to testify on issues of corporate-governance and employment discrimination law. Judge Carlson reviewed the proposed testimony from the plaintiff’s legal experts and determined that both could speak to the jury, but only to explain the complexities of corporate law that a judgment in the case required jurors to understand. When approached with testimony from legal expert witnesses, judges must be cautious in the extent to which lawyers and law scholars can speak about the case. The Federal Rules of Evidence permit parties to offer an expert in any field, but no expert may offer opinions that interpret law or legal theory. Jurors can be informed by expert witnesses in order to better understand the relevant facts, but a jury may not hear testimony that offers legal analysis that suggests how the case should be decided. When experts are members of the legal community, parties using them walk a fine line between information and legal opinion, and in this case Judge Carlson specifically limited the intended legal expert testimony to avoid juror confusion. In this case, Judge Carlson expressed his concern that the proposed expert testimony from the plaintiff’s legal witnesses could potentially cross the line, writing, “In each instance, we believe that the proffered testimony of these two legal experts provides some useful background and information regarding accepted practices in the field of employment discrimination litigation and corporate governance in closely-held companies, but then couples that information [with] opinions regarding the application of the law to the facts, and offers opinions regarding matters that are plainly the court’s task, determining what the proper legal outcome of this case should be.” Under this awareness of the potential for the plaintiff’s legal experts to overstep the rules, Judge Carlson went on to limit their testimony to the useful background information and exclude any opinion on the legal outcome of the case. In his opinion, Judge Carlson pointed to a similar case in a federal District of Maine in which a lawyer and law professor, Arthur Laby, was called as an expert witness to explain how a particular legal industry operated. Judge Carlson wrote, “Professor Laby was tendered as an expert witness, and proffered testimony which, in some instances went beyond a narrative description of how certain factual matters tied into industry norms, but instead opined on the ultimate issues of whether certain fiduciary duties were breached. In terms that are equally applicable here, the district court curtailed the scope of this proffered testimony.” In the case of Laby’s testimony, the Maine court was similarly faced with concerns about a legal expert offering more information than was permitted. Operating under this rule, Judge Carlson permitted Atlantic Pacific Research Group’s legal expert witnesses to testify, but limited the content strictly to information about the relevant business practices central to the dispute.